Johnny Marr rose to fame with The Smiths in the 1980’s. Marr’s guitar playing not only became an instantly recognisable and key colour in The Smiths sonic palette but one of the defining guitar styles and sounds of the era. 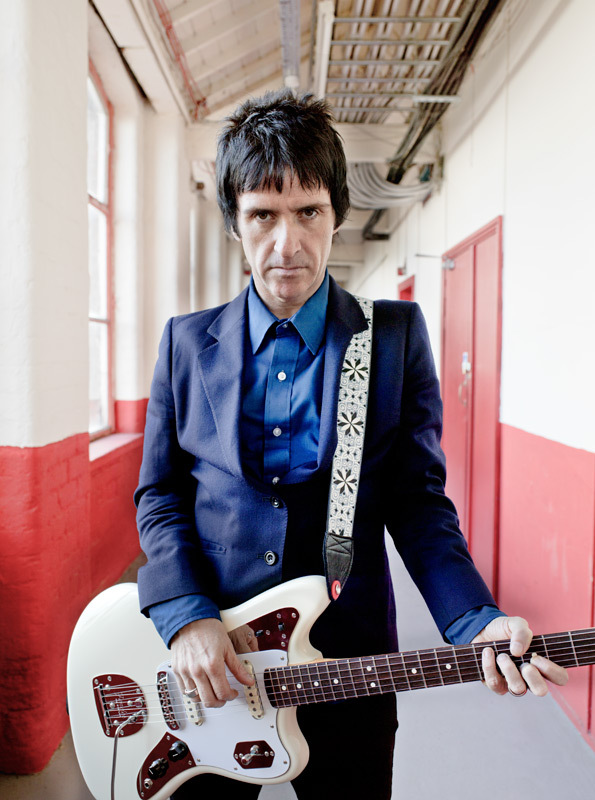 Such was his influence that guitarist such as Noel Gallagher of Oasis, John Squire from The Stone Roses and Ed O’Brien from Radiohead have cited Marr as a key influence in their own guitar work. What makes his guitar sound unique is a combination of a resonant, bell like and ringing “mod” guitar sound with plenty of depth – it isn’t over driven or dirty at all but it still has plenty of depth, power and truck loads of attitude. The unique sound and anti-hero politic and stance of The Smiths made them the leading alternative group of the decade and many critical publications have cited their third album “The Queen is Dead” as one of the greatest ever made. NME magazine called The Smiths the greatest rock band of all time. Johnny has also played with other highly influential acts such as The The, Electronic, the Pretenders, Johnny Marr and the Healers, Modest Mouse, and the Cribs. 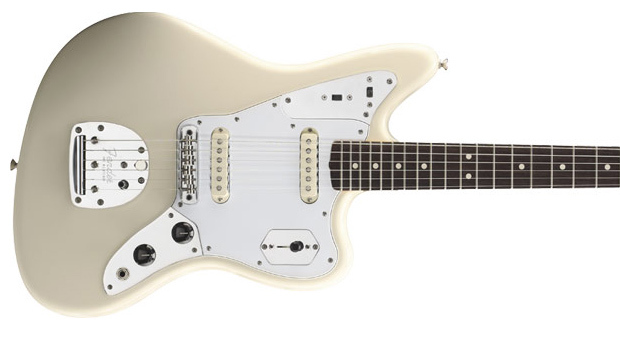 The Johnny Marr signature Fender Jaguar guitar gives you the classic Marr sound in an unforgettable 1960’s UFO aesthetic – white and chrome. More importantly Johnny has clearly put his years of writing, recording and live experience into designing this guitar with Fender – he has removed any problemmatic equipment and design faults to deliver the best possible Jaguar playing and sound experience. One of his key innovations is to move the high-pass filter to the upper horn, include a second filter to complete the very highly configurable pickup configuration, mustang saddles, make bridge improvements, and include custom designed vintage pickups with identical polarities (delivering a telecaster like focus). click here to visit Fender Guitars. so it’s pleasant to read this webpage, and I used to go to see this weblog every day.